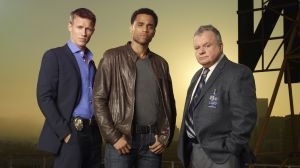 In the pilot of new USA series Common Law, Travis Marks (Michael Ealy) and Wes Mitchell (Warren Kole) two of L.A.P.D's finest within the Robbery-Homicide Division have a sever year track record of being the best. However their constant disagreements and bickering is having an impact on their work, leading their Captain (Jack McGee) to take a new approach by sending them to couples counseling with tough-as-nails therapist Dr. Emma Ryan (Sonya Walger) to work through their issues and strengthen their partnership and bond. When Wes and Travis delve into the world of online dating to solve the murder of a thirty year-old woman named Darby Jensen, Wes finds more than he bargains for when he discovers his ex-wife uses the dating site as well. Travis' ex-partner causes tension between the guys when they receive a special assignment to stop a crime ring responsible for stealing high-end vehicles. The guys investigate a series of home invasions by a group of thieves and learn that Travis' foster brother could be their leader. The guys' work suffers when they feel pressured to reach an important milestone during the hunt for a pair of criminals emulating Bonnie and Clyde. 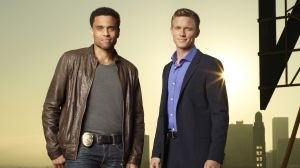 While investigating a murder, Wes and Travis are given an assignment by their counselor. In an effort to get them to learn more about each other, she wants them to view the world through the others' eyes by role playing. Wes and Travis investigate a cop's shooting and take care of the injured officer's police dog. When their mentors are called in, Wes and Travis see each other differently. Wes confides in Travis about dreams he's had about Dr. Ryan, which turns out to be a mistake. Elsewhere, Dr. Ryan's fiancé may be withholding information about a body found at his construction site. After being kicked out of Dr. Ryan's group, Wes and Travis make a deal with their eccentric new therapist to get them out of counseling for good. But when a run-in with the members of the Special Investigations Section leads Travis to blow his top, the detectives realize that they don't just need to go back to therapy-they need Dr. Ryan. Chastened, the duo offers to tell Dr. Ryan the story of how they ended up in counseling in the first place if she'll take them back. May 14th 2012 Description edited by Administrator. May 14th 2012 Genre rating added by Administrator. May 14th 2012 Genre added by Administrator. December 10th 2011 Description edited by Administrator. December 10th 2011 Genre rating updated by Administrator. December 10th 2011 Genre added by Administrator.